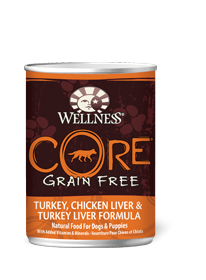 Grain-free CORE Original can help support your dog’s optimal health with turkey, chicken, salmon oil and fruits and vegetables. High-protein CORE can help encourage healthy digestion and increase energy. Available in: 1.81 kg, 5.44 kg, & 10.88 kg bags. 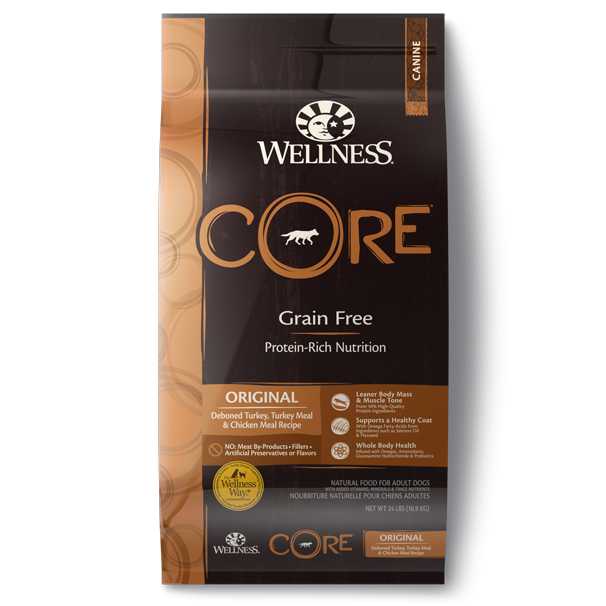 Wellness CORE Original Formula Adult Dog Food is formulated to meet the nutritional levels established by the AAFCO Dog Food Nutrient Profiles for maintenance. Calorie Content: This food contains 3,660 kcal per kilogram or 421 kcal per cup ME (metabolizable energy) on an as fed basis (calculated).